Thank you for considering the possibility of being married at St. Cecilia Parish. We want to support and assist you in the best way possible as you embark on this very important commitment in your lives. Where do I start? After browsing through the information below, please contact the parish office at secretary@saintcparish.org or 206.842.3594 to get started. This page is intended to answer a few of the questions which are most likely on your mind at this time. It may also help you to raise some questions which haven’t yet occurred to you but which will be important for you to consider as you make plans for your wedding. Who can be married at St. Cecilia Parish? Normally, those who are parishioners of St. Cecilia Parish. Parishioners are Catholics who live on Bainbridge Island and are not active registered members of another parish, or Catholics who my live off island but are registered and active members of St. Cecilia parish.. The Catholic Church has a long tradition of celebrating the sacraments within one’s own community of faith. There can be exceptions to this, however. These will be at the discretion of the pastor and presume involvement of the person’s home parish personnel. Who is able to officiate at St. Cecilia weddings? The Pastor, Father Mark Kiszelewski, normally officiates at wedding of St. Cecilia Parishioners. But permission can be given for a priest- or deacon-friend to officiate. Is some sort of preparation needed for couples wishing to be married? Yes. 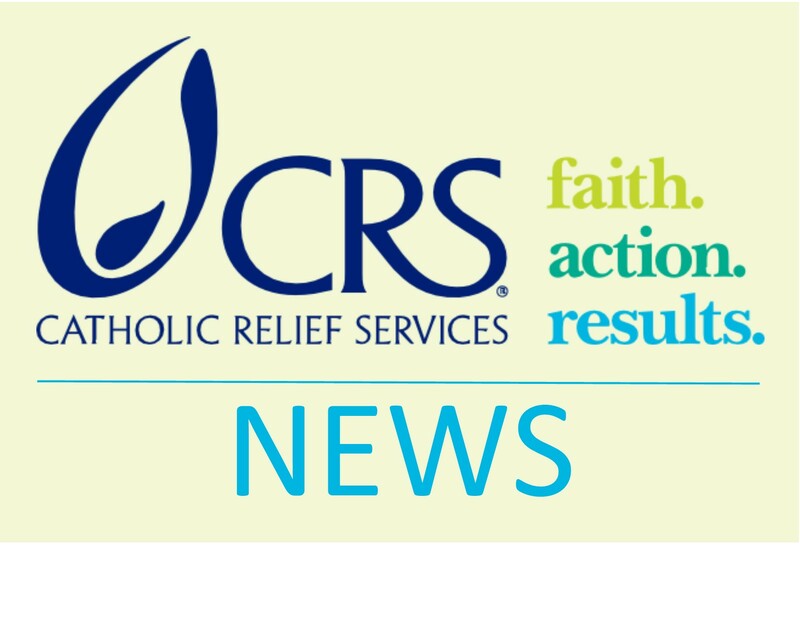 The archdiocese of Seattle establishes a marriage preparation requirement which includes those wishing to be married contacting the pastor at least 6 months prior to the wedding. When may weddings take place? Saturday is the usual day for weddings to be celebrated. Some people may choose a Friday evening. Weddings are never celebrated on Sunday. The Church discourages celebration of weddings during the season of Lent. Do Catholic weddings always take place during Mass? The Church provides for the celebration of wedding either during a Mass or outside of the Mass. A wedding outside of Mass includes the marriage rite and a Liturgy of the Word with opening and closing rites. When both parties are Catholics and able to celebrate Communion together, a wedding with the Mass is preferred. When both parties cannot share Eucharistic Communion the wedding outside of Mass is preferable. Does the parish have policies regarding the content of the wedding service, the music to be used, etc? Yes. The content of the service is set forth in the Church’s official Ritual Book for weddings. However, the couple being married is encouraged to engage in helping to plan the wedding service by choosing the Scripture readings that will be used during it. There are certain other options for the service, too, which will be explained to you. The parish also has standards and policies regarding the music to be used at a wedding. You will be able to consult with the Director of Music, Jennifer Cunningham to select music that is right for your wedding. 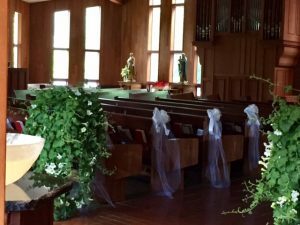 How does a St. Cecilia parishioner arrange to get a wedding on the calendar? St. Cecilia Parishioners you may begin scheduling a wedding by calling the parish office up to 14 months before your desired wedding date. After an initial contact with the parish office, the pastor will follow up with a further conversation to begin the marriage preparation process. The above steps should be followed before you finalize any arrangements regarding the place of your reception, contracts with photographers, florists, etc. Conger Hall for the Reception: Conger Hall is available to use for the reception. There is a fee for its use along with a damage deposit, a cleaning fee, and a parish employee fee. A Use Agreement must be signed and a one-time tenant user liability insurance policy purchased. Contact the parish office for details. Wedding coordinator: The use of a wedding coordinator is optional. 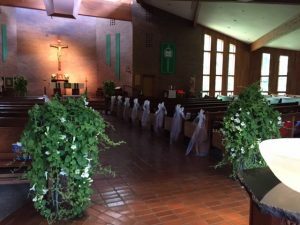 If a wedding coordinator is desired, St. Cecilia Parish engages the assistance of a wedding coordinator who is primarily concerned with non-liturgical activity for the wedding ceremony. The coordinator meets with the couple to talk about where the wedding party will be placed during the service and the actual rite as well as the process of entry and exit from the Church. The coordinator conducts those portions of the wedding rehearsal and is present on the day of the wedding to assist in the same way. The wedding coordinator is Mrs. Gail Betz (206) 842-2222. Wedding coordinator fee is $100.00 which is paid directly to the coordinator. Our music director, Jennifer Cunningham, will assist you in planning the music for your wedding. She may be contacted at music@saintcparish.org or 206.799.8671. Click here ( coming soon) for a list of musical selections and fee information. Please review the list prior to meeting with meeting with Ms. Cunningham. There is not a fee for the services of the priest, but a gift of thanksgiving is welcomed and appreciated. See our Questions & Answers Re Wedding Fees and Donations. Please note that all fees are due 2 weeks before the rehearsal. The initial deposit will be deducted from the total fees. The wedding photo session may require substantial time, depending on the photographer and quantity of pictures taken. It is essential that this time be scheduled on the Parish Master Calendar. Please do not finalize any arrangements with your photographer until after the time has been set aside on the Master Calendar. Flash photography is not allowed during the service. During the Mass and wedding ceremony there is no movement or placement of photographers between the congregation and the altar and pulpit. If possible, have only one person doing non-flash photography during the ceremony so that it is not distracting. Please advise friends and relatives not to take flash photos during the service. Videos are permitted and can be set up from several discreet locations in the church. Please inform your videographer that wireless microphones are not permitted as they interfere with the sound system in the church. Some couples provide a program outlining the order of service for their wedding. If you would like to see samples of programs or have questions, please contact the wedding coordinator, Gail Betz at (206) 842-2222. Please note that programs are the responsibility of the bride and groom. Since all the spaces of the church must be readied for liturgies and events following your wedding, it is essential that you assign someone to clean up these areas immediately following the wedding. Please remove all programs, the aisle runner, and any pew decorations that you have provided (leave the fasteners provided by the church). We also encourage you to have someone look for any articles that might have been left by your guests. No food or drink is permitted in the choir room or in any part of the church. No alcoholic beverages may be brought into any part of the church. It is the bridal parties’ responsibility to clean up following the ceremony. Please assign one person to see that all areas are cleaned up immediately following the wedding. Please note that rice, bird seed, confetti or flower petals may not be thrown inside any parish building or anywhere on the church grounds. 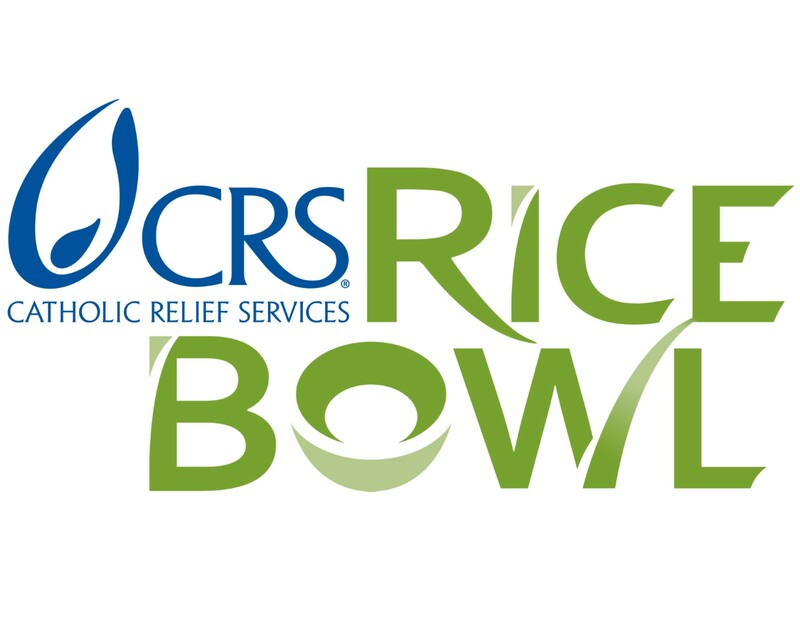 If you have any questions about the facilities and/or supplies, please contact the church office 206 (842-3594).